Payless Semi-Annual SALE happens until November 1, 2017. Get up to 50% off on select styles. 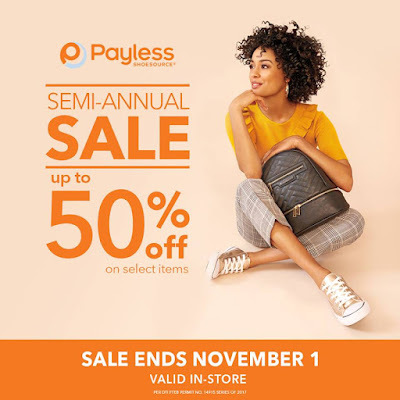 Head over to your favorite Payless Stores now.